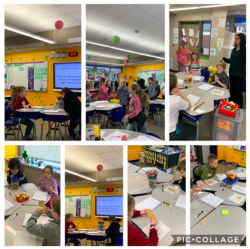 3rd graders were really standing out today in math with Mrs. Hillis. She gave them some “food for thought” by using graham crackers to discuss area and perimeter. 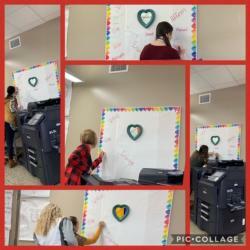 Students had to decide if the . . .
We are excited for another great week of learning! Click here to read the news! 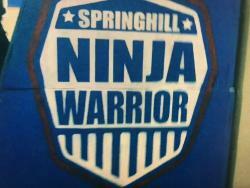 Don’t forget Ninja Warrior Challenge is still on! Here are some tips to help your student’s class earn their . . .
January Spirit Day! Congrats to our students of the month, growth mindset award winners, staff of the month, and fifth grade (for winning the Spirit Stick!). 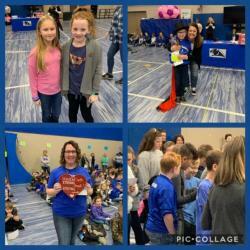 Mrs. Mahan was selected as the . . .
We spent some time this week refocusing on our theme for this year. Standout with Strong Hearts and Strong Minds. At the beginning of the year each staff member was challenged to pick one word that . . .